Hi friends! I hope you enjoyed your weekend. I am so happy that it's SPRING! This is my very favorite time of the year. We have been outside all weekend and I have been thoroughly enjoying it! We desperately needed to spruce up the outside of the house and today was the perfect day to do it! 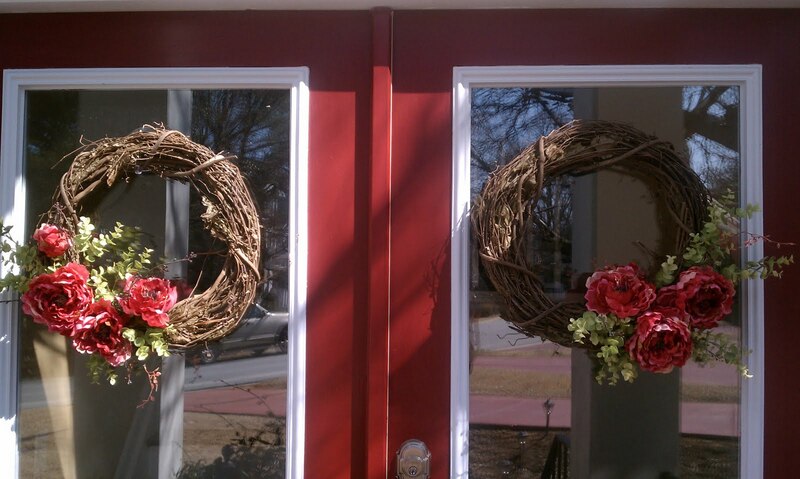 I made these wreaths a few weeks ago. I think they look great with the red front doors. 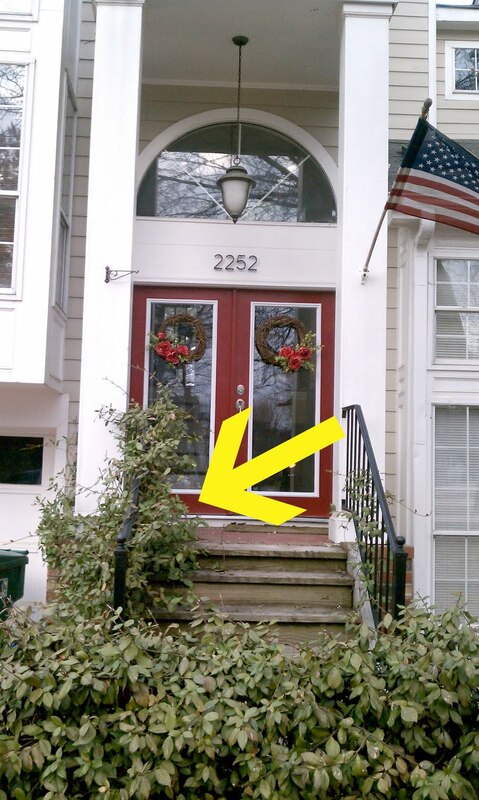 We have Confederate Jasmine growing on the front rails of the house. While I have always loved having this beautiful vine - the portion of it growing up the stair rail really didn't look too welcoming. We went back and forth trying to decide about cutting it - and today we finally made the decision. I hacked away for two hours today. I am so happy we made the decision to cut it. It looks so much cleaner and more inviting to our guests. We still have the jasmine growing at the base of the stairs, so we didn't get rid of it all together. I definitely don't think I could have done away with all of it. I LOVE the way it smells when it blooms! A few weeks back we also finally painted the door on the third floor balcony. It was previously black. Now it matches our main front door. I planted a few flowers at our house, then helped my neighbor plant some as well. We hope to plant more in the next few weeks. 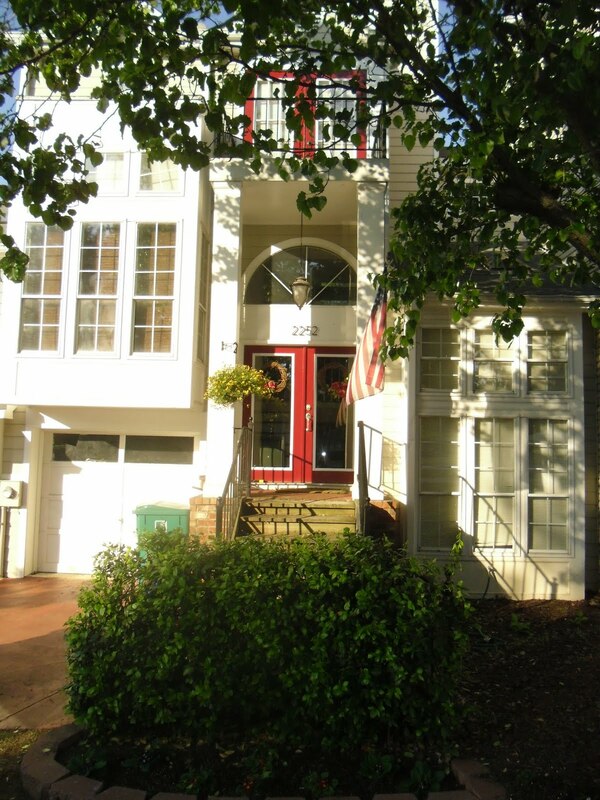 We need to replace the stair treads out front as well as power wash the house... that will come soon too. I hope y'all had a great weekend! Talk soon, friends! It looks great. Want to do mine now? 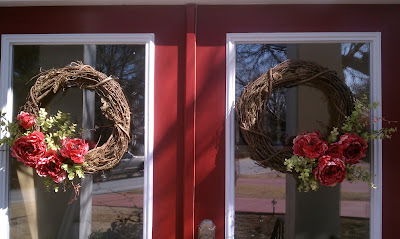 I LOVE those wreaths!!! I think I need to make one for myself! Did you use hot glue to attach the greenery and flowers? And y'all's house is absolutely gorgeous! Everything looks so fresh and clean and ready for Spring! !